Branson’s Center Stage: Enjoy a dinner for two featuring Stuffed Mushrooms or Fried Brussel Sprouts, a Signature House Salad, Filet Mignon, Barramundi with Crab Imperial, and Filet of Salmon, and a selection of Homemade Desserts. $80 per couple and reservations are recommended. Call 417-320-6079 for more information. Osage Restaurant at Big Cedar: Enjoy a special menu featuring a four-course menu with items such as Fresh Shucked Oysters, Lobster Bisque, Porterhouse for Two, and so much more! $85.00 per person plus tax and gratuity. Reservations begin at 5:00pm and are strongly recommended. Call 877-679-8254 for additional information. Hughes Music Show: Bring your Valentine for Romance & Fun at the Hughes Music Show. Enjoy a memorable evening complete with an especially fun renewal of vows and a free memory portrait. Add a delicious dinner before the show complete with candlelight, flowers, a romantic movie, and music. Branson Landing and Tanger Outlets: Guests can spend hours shopping at their favorite stores. A few of the favorites for the special ladies include: Versona, Michael Kors, Vera Bradley, White House Black Market, and more. 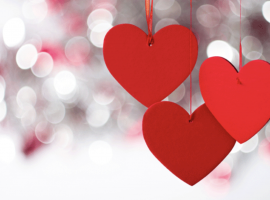 From delicious meals to incredible shows and shopping experiences, there are several ways to enjoy Valentine’s Day with your special someone!